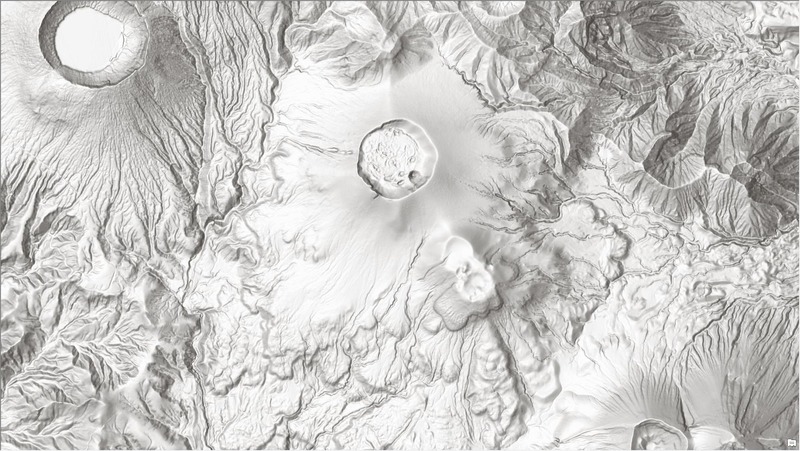 The recent update to Esri Vector Basemaps brings a handful of new features to the maps as well as a new style added to our collection. We launched basemap localization across six languages, added new map labels and features to the vector tile set, and released a new style named ‘Charted Territory’. 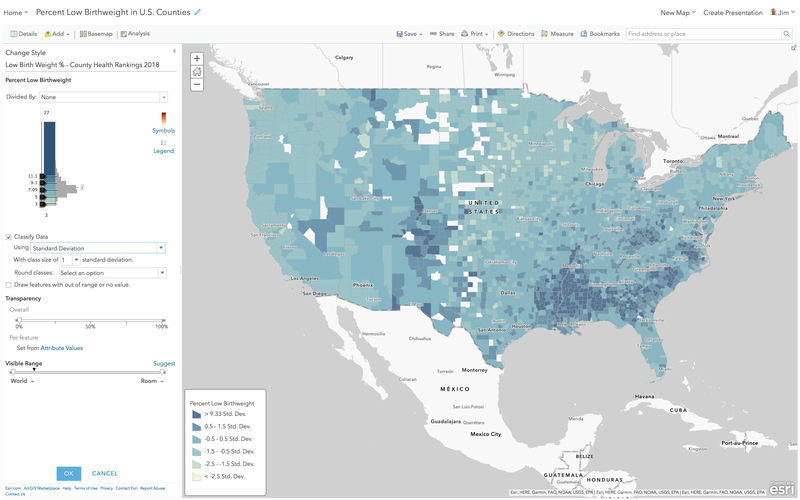 For information and lists of data updates, including contributions made through the Community Maps Program, view these blogs. 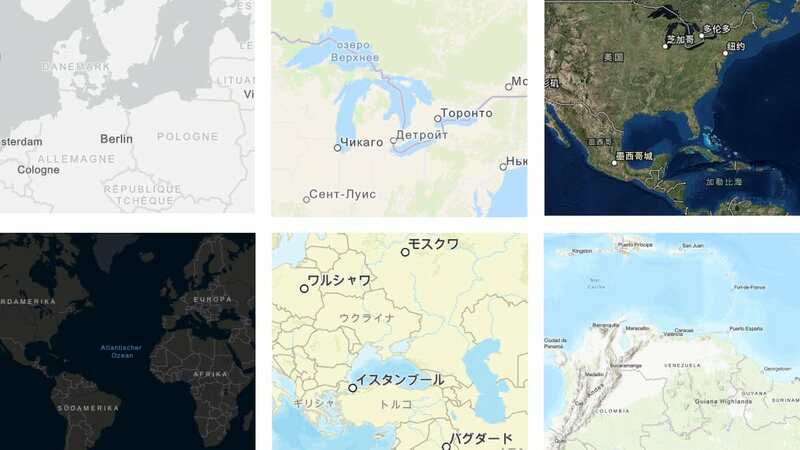 This update marks the first set of six languages mapped across eight gallery basemap styles. Additional languages will be rolled out in the coming months. The maps display translated labels for many feature classes. Localization of the vector maps also includes the ability to customize disputed boundaries and display alternate feature names. With the Esri Vector Basemaps, these edits can be applied to the json and updated in your own copy of the map styles. 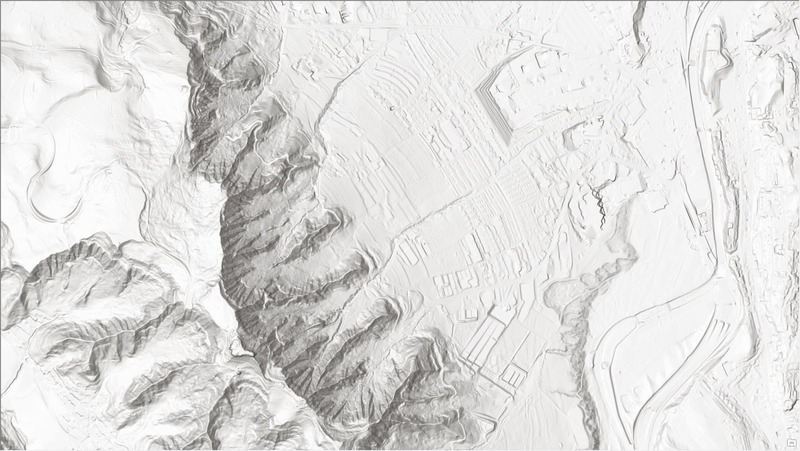 For DisputeID filter values as well as other guidance to specifications of the vector basemaps, refer to this reference PDF document. The image below shows a sampling of map styles in the different languages. This list has links off each language name that goes to a group of web maps for the different styles: Chinese, French, German, Japanese, Russian and Spanish. Keep checking the Esri Blogs for notification of new languages added to the collection of localized basemaps. 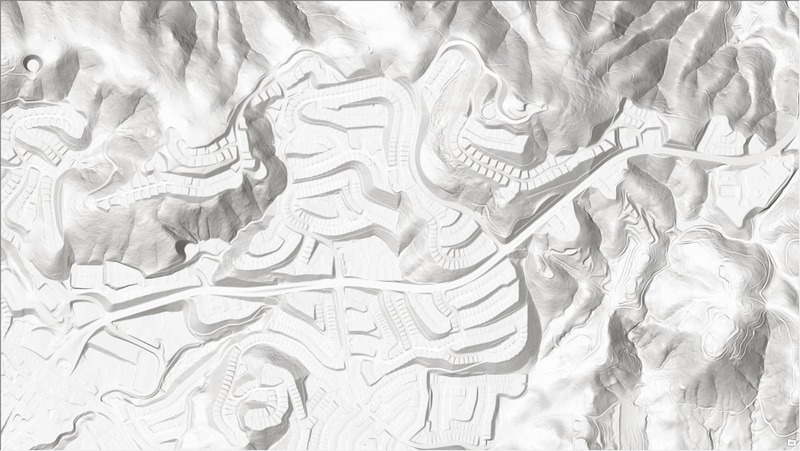 There are three new features in the Esri Vector Basemap tile set used to display all the vector map styles. We’ve added Landform Labels (think ‘Rocky Mountains’). 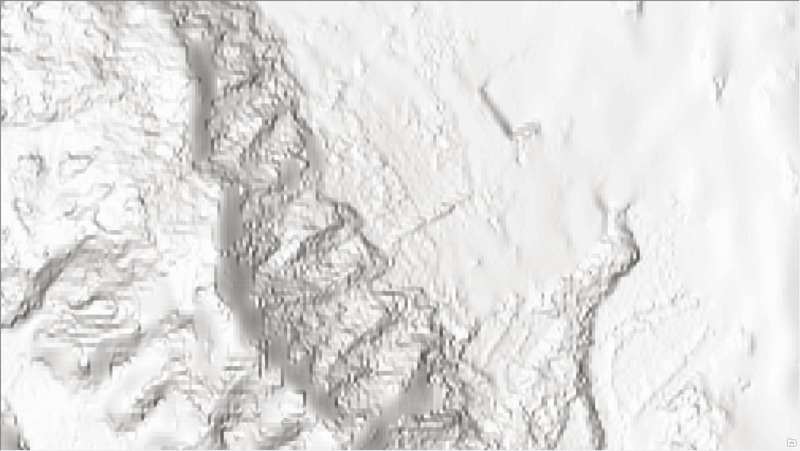 By default, the landform labels appear in two gallery map styles: Topographic and Terrain with Labels, and several other creative map styles including the newly released ‘Charted Territory’ (see below for details). This new map style also includes the other two new features added to the vector tile set: grids and graticules and the colored country polygons (colormap). 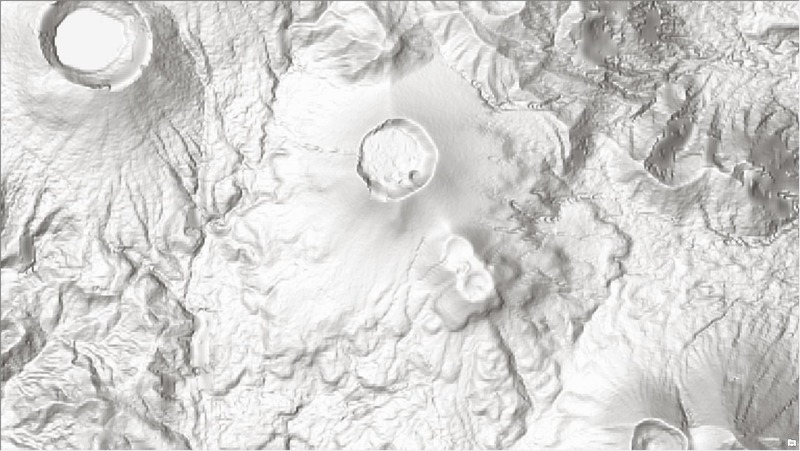 For additional information and other guidance on the vector basemap specifications, refer to this reference PDF document. Charted Territory is our new creative map style from cartographer Cindy Prostak (see also Colored Pencil, Mid-Century, Modern Antique, Newspaper, and Nova). 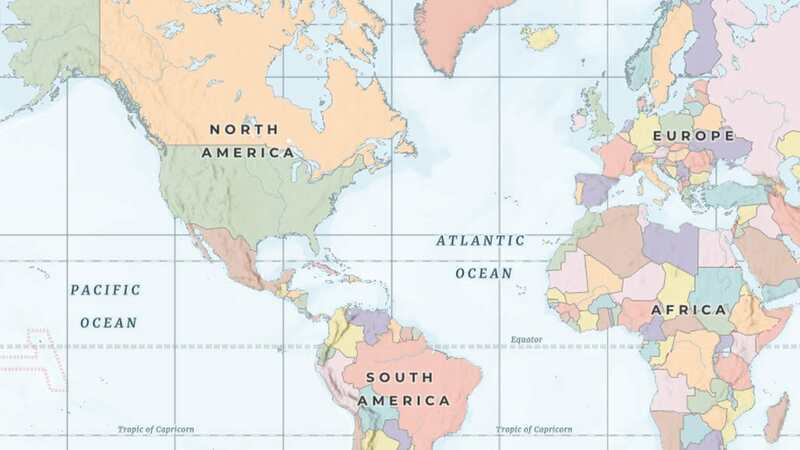 This Charted Territory basemap style has its design influenced by the classic global political atlas plate and pull-down scholastic wall maps found in many classrooms. The color coded country polygons (8 colors in the colormap) are present at the smaller scales and fade to a neutral background color as you zoom in. The images above show multiple scales and the appearance of the features at those scales, including the landform labels, grid lines and graticules like the Arctic Circle (seen in the images above), Tropics, Equator, International Date Line and Prime Meridian. 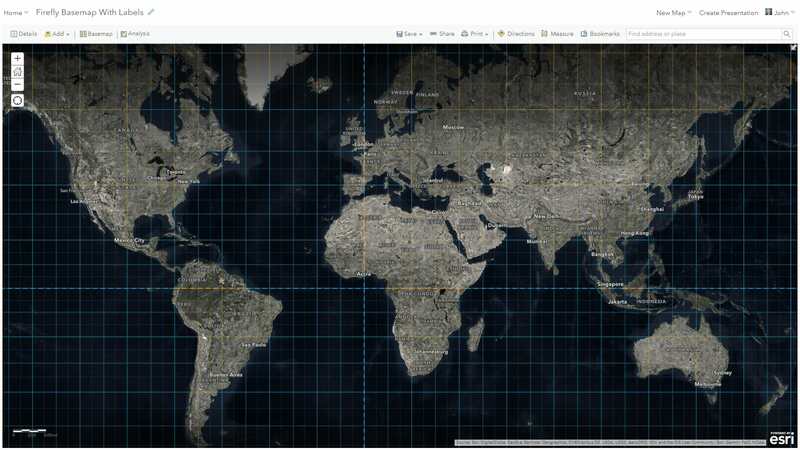 For a complete collection of the Esri Vector Basemap styles, refer to the Vector Basemap group on ArcGIS Online. While Esri provides a number of different basemap styles, it may just be that there’s a specific customization you’re looking to make to have that perfect map style to use in your maps and apps. This can be as simple as applying your organization’s official colors or you might want turn off a feature class or two to simplify a map style. Or if you’re up for the challenge, you can restyle just about every feature and label attribute. The newly announcedArcGIS Vector Tile Style Editor (beta) is just the tool you’ll want to use to accomplish all of these customizations. For more inspiration of different basemaps, visit this showcase of some custom styles we have created. 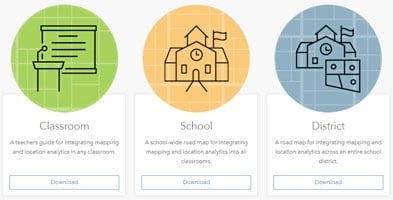 Whether you are a developer, designer, or a GIS professional, this tool gives you a fast and easy way to create a custom basemap style that matches your brand and the type of app that you are building. 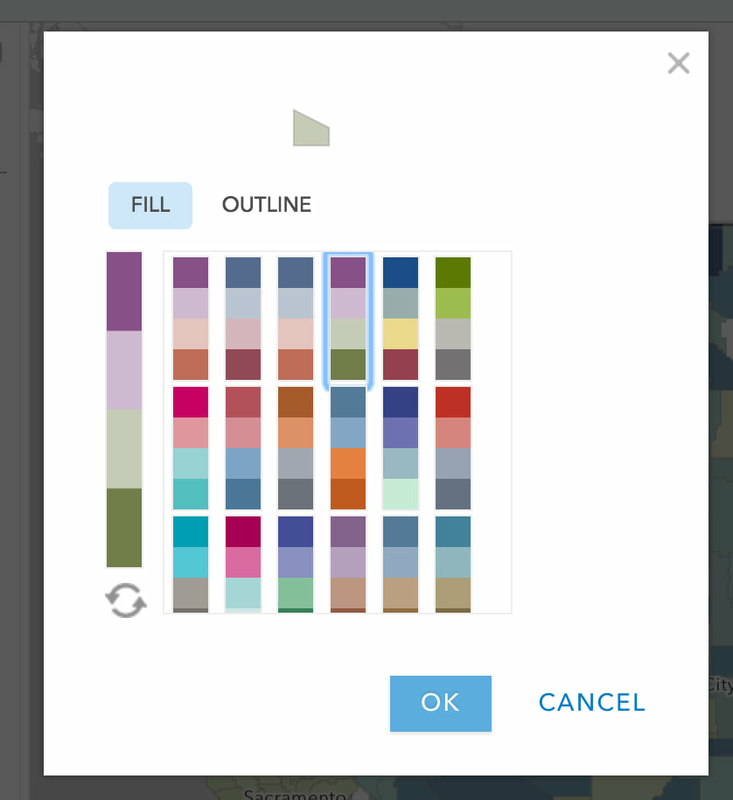 Click here to use the ArcGIS Vector Tile Style Editor. Over the past several years, ArcGIS Online has become a very rich collection of geospatial content, with millions of items published by thousands of different organizations around the world. 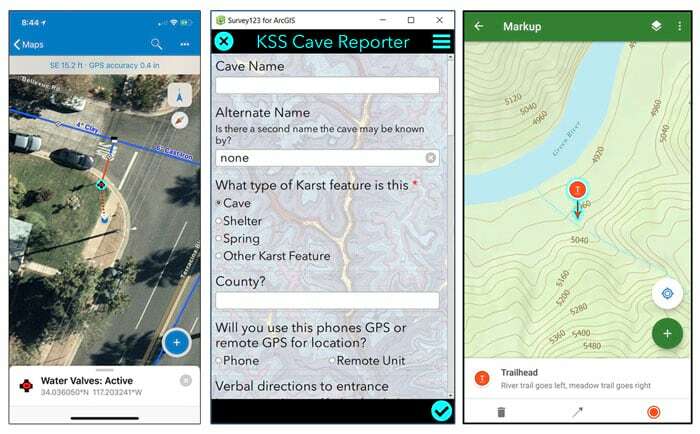 Many of these organizations, such as national mapping agencies and local governments, provide access to the most authoritative content for their communities, and are making their content publicly available through ArcGIS Online for everyone to use. As users of ArcGIS Online creating content, most of us are looking for the most reliable and authoritative content to use in our maps and apps. This might include basemaps, imagery, boundaries, demographics, weather, traffic, parcels, buildings, or many other types of content. 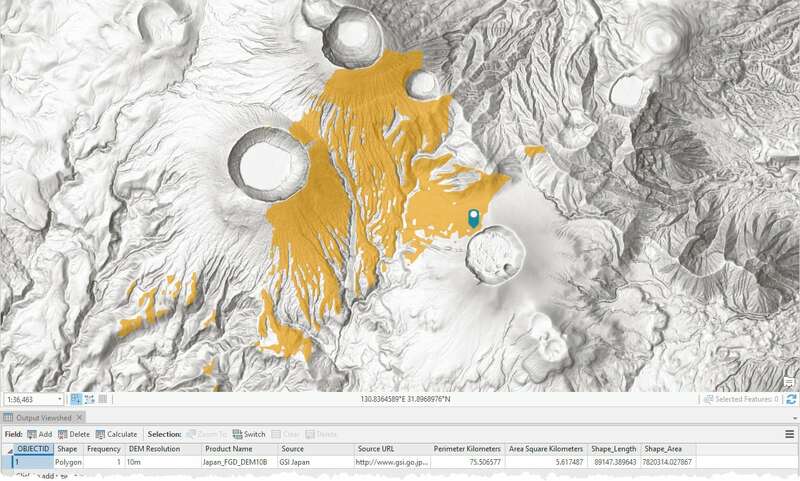 So, how can you find the most reliable and authoritative content in ArcGIS Online? 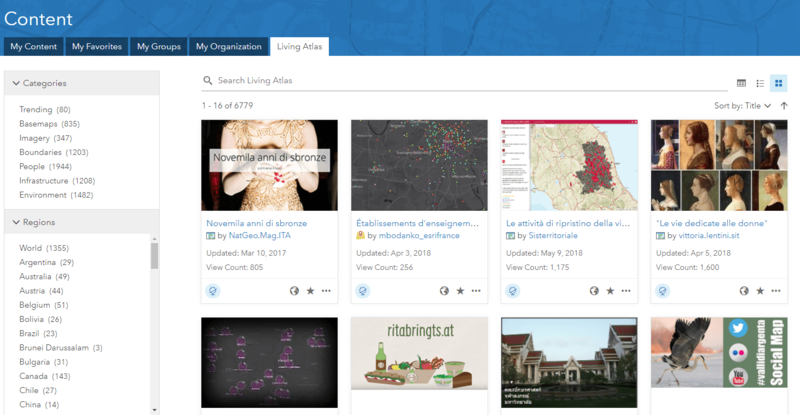 One source that many of us turn to first is the ArcGIS Living Atlas of the World, which is built-in to ArcGIS Online and now accessible to all users creating content through the Living Atlas tab on the Content page. The Living Atlas includes content that is curated by Esri, which may be published by Esri, our business partners, or ArcGIS users. The Living Atlas now includes about seven thousand items of various types that have been contributed. This is a great place to start but it only scratches the surface of all the content (several million items and growing!) 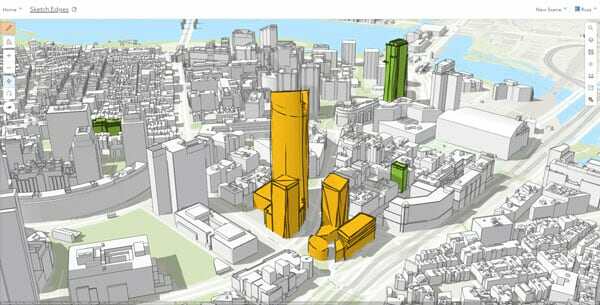 that have been publicly shared in ArcGIS Online. If you don’t find what you need in the Living Atlas, you may next search all of ArcGIS Online. This often uncovers lots of relevant content that is available to you, but it may be challenging to determine which is the best one to use. Who is the owner of the content, is it well maintained, is it the correct version to use in my map or app? What most of us are hoping to find is the best available content from the organization responsible for publishing that content, which you can trust to be well maintained over time. 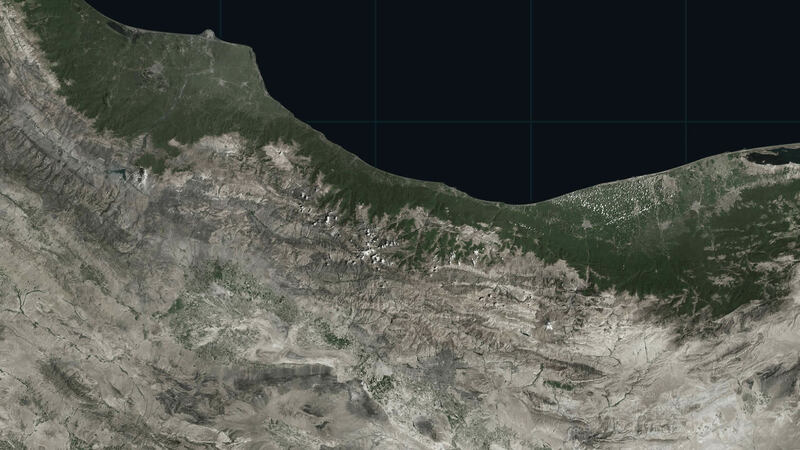 This might be a custom vector basemap from Esri, the latest imagery from a national mapping agency, the legal parcel boundaries from a local government, or the most current statistical data from an NGO. While this content might be available in ArcGIS Online, it can often be difficult to distinguish in the search results. With the June release of ArcGIS Online, we have begun to make this type of ‘authoritative’ content easier to identify and find. 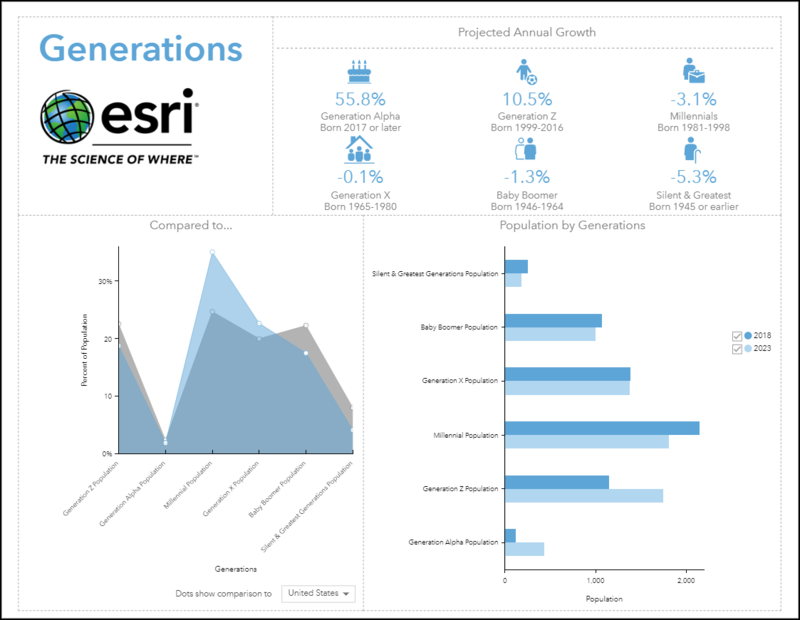 Organizations publishing this type of content, such as Esri (including our international distributors) and government agencies, are now able to mark the best available content that they are sharing with everyone as ‘Authoritative’ and it will appear as authoritative from that organization. Users that are looking for this type of content can now filter their search results to just show content that is authoritative. 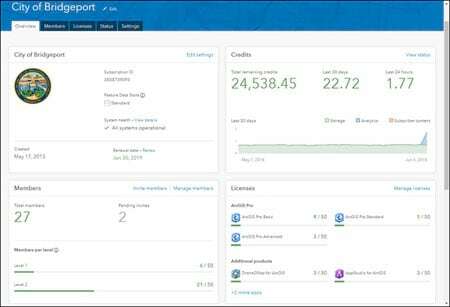 Publish your content in ArcGIS Online, follow our best practices for sharing, and share the item with everyone. Once you have some authoritative content ready to share, ask your admin to ensure that (a) the organization allows anonymous access and (b) the organization has a great home page for anonymous visitors and (c) the organization name configured in the settings is correct. Once that is confirmed, the admin can then request that the organization identity be verified by Esri. Go to Settings > General > Organization Verification. Once Esri has verified the organization identity, any of the content that is shared with everyone and marked as authoritative will appear as authoritative from your organization. That is, the item will have an “Authoritative” badge and it will display the organization name as the owner of the item, such as in the examples shown above. Added bonus: the item will also be boosted a little when already relevant in search results. Search: whenever you search for content, you will see some filter options appear next to the search results (e.g. item type, date modified, etc.). You can use the status filter “Authoritative” to see only this content. If you choose to expand the search beyond your organization (i.e. de-select ‘Search only in …’ your org) and set that status filter, then you will see any public authoritative content that is relevant to your search. 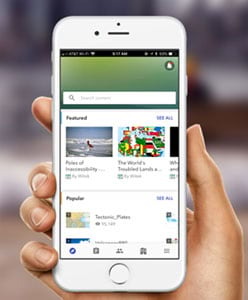 Browse Living Atlas: if you are browsing or searching items in the Living Atlas tab on the Content page, you will see some other filter options appear next to the search results (e.g. categories, regions, etc.). You can now use the status filter “Authoritative” to see only this type of content in the Living Atlas. This will include Living Atlas content from Esri and other organizations that have already marked their public content as authoritative and been verified. The ability to mark content as authoritative was added in the December 2017 release, and the ability to mark public content as authoritative is new with the June 2018 release. It will take some time for large numbers of public authoritative content to appear in ArcGIS Online. That said, there are already a few dozen organizations enabled to share authoritative content with everyone and over 3,500 public authoritative items! Our hope and expectation is that we will see a significant increase in the quantity of high-quality, authoritative content that is being shared and distinguished in ArcGIS Online over the next several months. This will be good for everyone, helping data publishers by raising awareness and usage of their most useful and authoritative content and helping users by making it easier to confidently find the best available content to use. We look forward to seeing your authoritative content shared publicly in ArcGIS Online soon! All attributes have been updated from 2015 to 2017. All attributes have been updated from 2015 to 2017 with the exception of Unemployed Persons from 2014 to 2016. Settlement Points are an estimate of likelihood of settlement at low levels and are used in the aggregation of demographic data to apportion and summarize data. The Settlement Points have been updated with this release. Users may see changes in returned results even though the demographic data itself has not been updated. Boundaries have been corrected to include missing unpopulated islands. Geography names have been corrected on names with special characters. Average Savings per Household has been updated to display data in yen instead of units of 10,000 yen. Because I am a geographer who makes a lot of thematic maps, over time I’ve noticed the key moments in the decision making process that dramatically influence each map. The purpose of this blog is to discuss how a typical thematic map of a percentage comes into focus and how you give it purpose. To start, we need data, and an idea of what we want to map. We recently hosted up this layer of U.S. county health rankings data from the Robert Wood Johnson Foundation and University of Wisconsin Health Institute and made a few maps for policy making from it. The layer contains dozens of useful measures, each waiting to be turned into useful information on a map. The software can map it, but it takes a human to make it meaningful. In this blog we’ll cover how the software (in this case, ArcGIS Online) starts the map, and how a human improves what the software suggests to give the map purpose. Let’s pick just one subject among the many attributes in this gold mine o’ data: Percent Low Birth Weight. It represents the percentage of all births in a county that meet the standard of low birth weight. So we have data. We need an idea for the map. It is easy to imagine a map of the counties, each shaded by its Low Birth Weight percent. Pretty straightforward. As always, let’s explore the data on the map first, to compare what we know about the subject to what’s on the map, and then make a thematic map of it. That first step (exploring the data) is key – unfortunately a lot of people simply want to get the thematic map done as quickly as possible without thinking critically about the data. They choose a default classification technique, verify that the map shows some variation in colors, and call it a day, when in reality that map is unfinished. How can you tell a thematic map has been rushed into use without a specific purpose? 2) The breaks used to set the colors have no intrinsic meaning – they are just numbers generated by an algorithm. 3) The colors have not been chosen to emphasize the interesting part of the data. 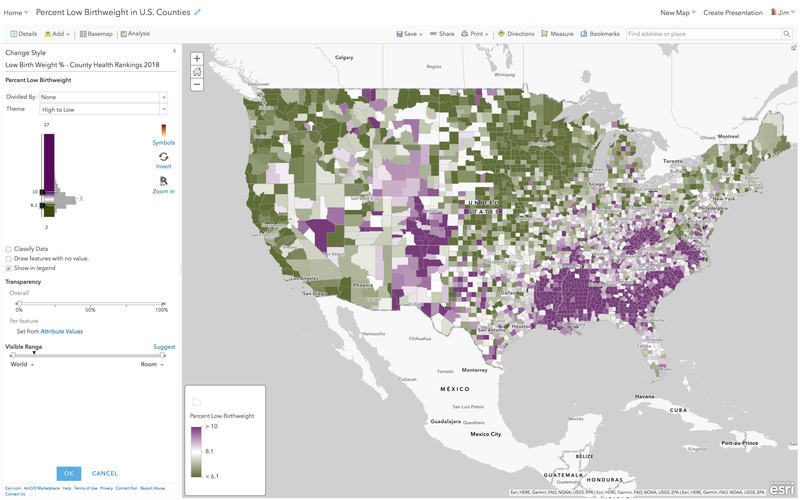 Open this web map from the Living Atlas in ArcGIS Online, hit “Modify Map” in the top right corner, and look at the purple layer titled “County Health Rankings 2018.” Or, just cycle through each layer one at a time to follow along this blog. 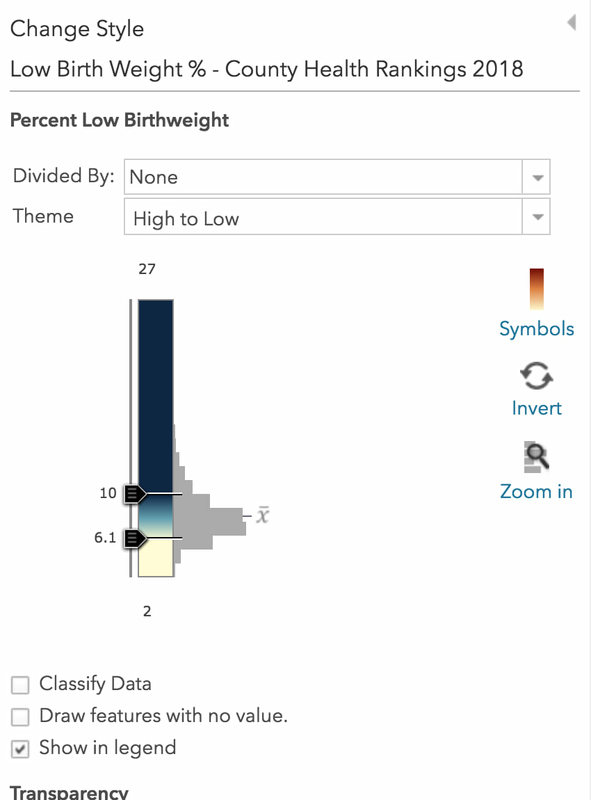 Rename the layer to “Low Birth Weight” and choose the “Change Style” button on the layer to explore the Percent Low Birth Weight attribute. 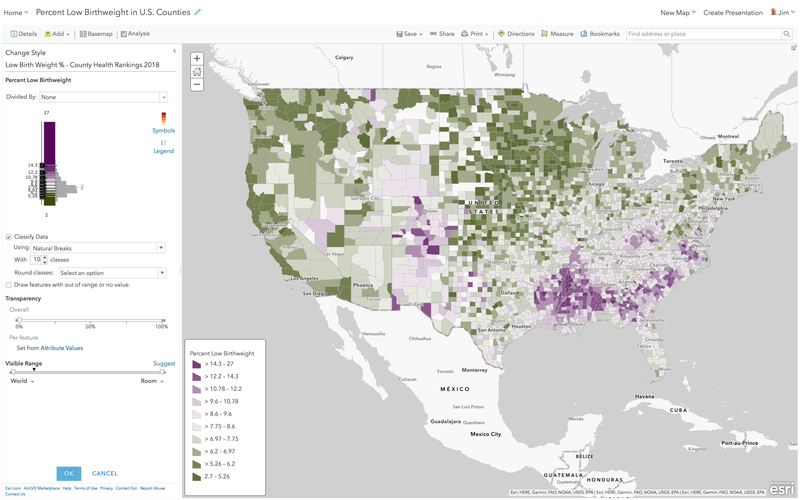 Next, choose the attribute “Percent Low Birthweight,” and choose the Counts and Amounts (Color) style of map. This style shades applies a color to each county, based on the value found in the “Percent Low Birthweight” attribute for that county. 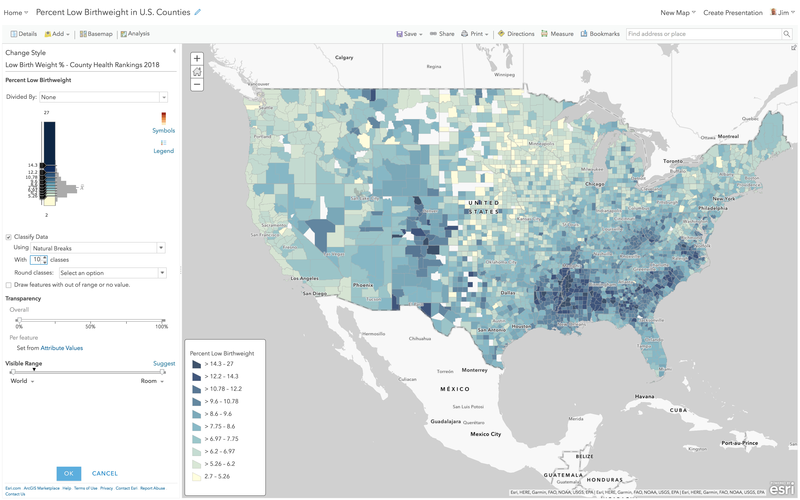 Click “Options” to explore this data a bit using some settings that decide which counties will be shaded what color. ArcGIS Online shows you the color ramp next to a histogram of the data. For the “High to Low” theme, the little handles indicate at what values dark blue or yellow are applied. In this case, counties with 10% low birth weight or higher will be given a full dark blue color. Counties with 6.1% or lower will be given a full yellow color. These extreme values are not the main story in this map style. At this point, I always go search the documentation or online for what the literature has to say about this subject. In this case, the source data did not provide the national average for percent low birth weight, but a broader search found several indications that 8.1% is indeed the national average. This is useful information to have as you think about how to style this map. 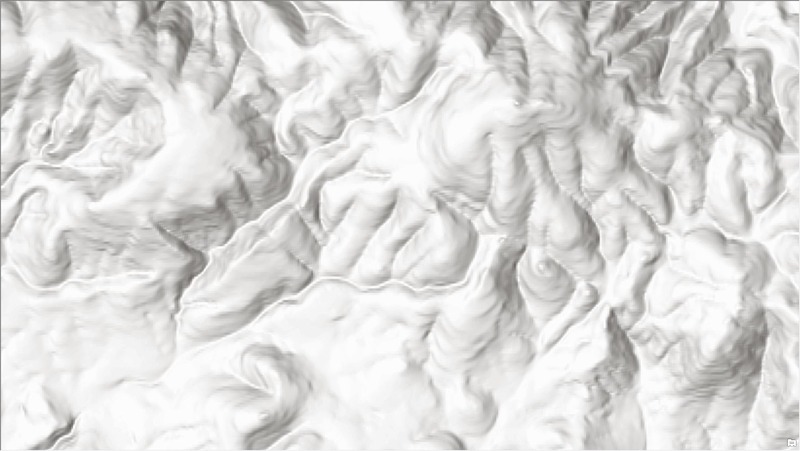 This default is just a starting point, it is NOT the one-size-fits-all solution for making maps. It is a great map style for initial exploration of the data, so that you can ask yourself: “What part of this data is interesting?” From the histogram of the data we see a pretty normal bell curve, with a little skew toward higher values. A color ramp that has a light color on one end and a dark color on the other end works well. The darker colors are applied to the higher values, but even the middle of the color ramp (near the 8.1% national average) is already leaning blue… so if the story needs to focus mainly on areas where Low Birth Weights are a problem, the High to Low theme is a good option. High to Low theme does not really care about a national average or mean, unless you adjust a break to use such a figure. Let’s explore the same data using classification, to see where it starts the map. Here’s the same layer, but with “Classify Data” turned on, which defaults to a Natural Breaks method. The darkest color is assigned to values at or above 11.2 so the effect is that it is “harder” for a county to earn that darkest color. The values between 8.78 and 11.2 all get the same color, as do all values between 6.9 to 8.78 and all values below 6.9. These breaks are where the Natural Breaks algorithm found a mathematical reason to divide the data up into the four breaks it was told to use. There are eight different numbers in this map’s legend (see above), and no explanation of their significance. We see the dark blue color begins at 11.2% – is this to be considered a “high” rate? In which shade of blue does the national average 8.1% fall into? Unless we adjust a break to use 8.1%, we can’t really speak to that figure effectively on the map. All this map says is that some places have it worse than others, but we have not provided a standard of comparison by which we would leverage the use of color. Here is the same layer, but with 10 natural breaks. It’s essentially the same map, but now the legend is a little more challenging to read and interpret. With 10 classes, we can see more detail around those darkest blue counties. But if a legend with 8 numbers for an author to explain and a reader interpret is difficult, a legend with 20 numbers is … more difficult. In the legend above, can you find which class would contain the national average 8.1%, and then find a sample county at or near that average? There are nine shades of blue to choose from, and this legend infers that you should be able to distinguish among them. Whether your map has 4 classes or 10 classes or is not classified, the legend on a web map is a poor way for someone to understand the actual value in any single county. A label or popup can provide the specific value as needed. At this point, because we have not assigned any specific meaning to the classes such as “>14.3 (Eligible for funding)”, the legend is really there to simply orient the user about what color means, generally. Here’s the same layer, but with “Classify Data” turned on, and now using the Equal Interval method. The darkest color is now assigned to values at or above 21 so the effect is that it is very hard for a county to earn that darkest color. The values between 14.9 and 21 all get the same color, as do all values between 8.8 to 14.9 and all values below 8.8. The map now looks very “soft” and the histogram/color ramp tells why: most of the counties fall within the lowest category. To many people, this map would suggest low birth weights are not really much of a problem anywhere except that one northern Colorado county. That’s because equal interval takes the maximum value minus the minimum value in the data, and divides that by the number of classes to set the … interval. If the min value were 0, the breaks would shift. If the maximum were not 27 but 270, the breaks would shift, dramatically. Outlier values have a big effect on this option. Note that the national average 8.1% would fall into the lowest category. Here’s the same layer, but with “Classify Data” turned on, and now using the Quantile method. Quantile ensures that each color will have an equal number of features in it where possible. If you have 1000 features, Quantile will stuff 250 into each of the four colors in your ramp. It’s the ice cube tray of thematic mapping, in that each cube (class) will be the same size no matter what is actually going on with the data. The darkest color is now assigned to values at or above 9.08, the values between 7.8 and 9.08 all get the same color, as do all values between 6.7 to 7.8 and all values below 6.7. The national average 8.1% now earns the second darkest blue. Quantile ensures you’ll have lots of colors on the map, but they’ll have no intrinsic meaning for this layer. You can see from the image above that this standard deviation method slices the histogram neatly and applies a color ramp to those slices consistently. The “High to Low” style of color ramp spreads the blue color progressively across the classes. The map is mainly blue, because the center of the color ramp is itself a medium blue. It’s pretty interesting to see how the various methods dramatically shift the color around the map. If it makes you feel a little uncomfortable that there are so many options with widely varying effects, that’s good, because your next step is to take control of where and when color is applied to the map, based on your purpose. Every map needs a purpose, and you can’t get to purpose without exploring the data first. No matter how many methods are available to slice and dice the data into various colors, at some point each map author (or, manager of people making maps) needs to put meaningful numbers into the map legend: numbers they can explain, talk to and justify. The person making the map is in a position to decide if classification is appropriate. It’s not a matter of one being right and another wrong, but it is a matter of knowing how classification tends to eliminate detail, and whether detail is important to the story your map needs to reveal. 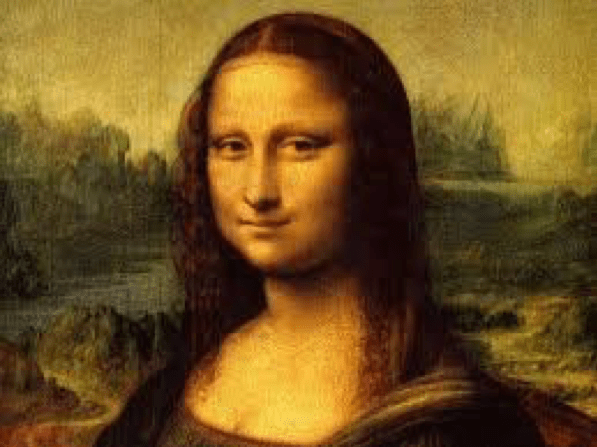 Mona Lisa, in thousands of colors capturing nuance and that famous smile. 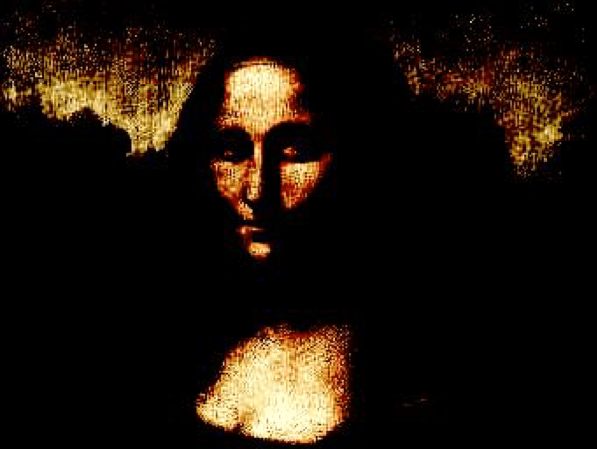 Mona Lisa, in five colors. The smile is gone, like so many other details lost to classification. All the maps above take two colors (yellow and blue) and, in effect, smear them across the page based on the breaks you accept or, preferably, set from your knowledge of the subject. When four or five or ten classes let you simplify the world for someone based on a reason they can relate to, then classify! If you can assert why there is no significant difference among features within a given class, that is a reason for that class to exist – it has a meaning, so its use is justified. Otherwise, give the data a chance to “breathe” a bit and uncheck that “Classify” button to let the additional detail drive interest and generate additional questions. Questions raised during the early stages of making a thematic map inevitably lead to better maps. An example: when a lawmaker proposes a bill to provide economic development funds to any county where unemployment is 8% or higher, you have a reason to classify the map into 2 worlds: counties with 8% or higher unemployment, and everybody else. But you would be wise to show the lawmaker, or the public, a map without classification so that it becomes obvious how many counties are just above or just below that 8% cutoff. If nothing else, that map tells you where the lawsuits will be filed. Both maps are useful. Next, let’s introduce a little more color using a very powerful map style that lets you transfer your knowledge of a subject into a map people can instantly relate to. Go back to your layer and change the theme from “High to Low” to “Above and Below” and watch what happens. The map immediately divides the data into two colors: areas whose percent low birth weight is above 8.1%, and areas below that national average. In the example below, I made one additional change, to use a green to purple color ramp so that I could highlight in purple those counties with above-average problems with low birth weights. This diverging color ramp has three colors: purple on one end, white in the middle, and green on the other end. Counties near the national average sort of fade into the background, an editorial choice which is what allows the above and below patterns to emerge. 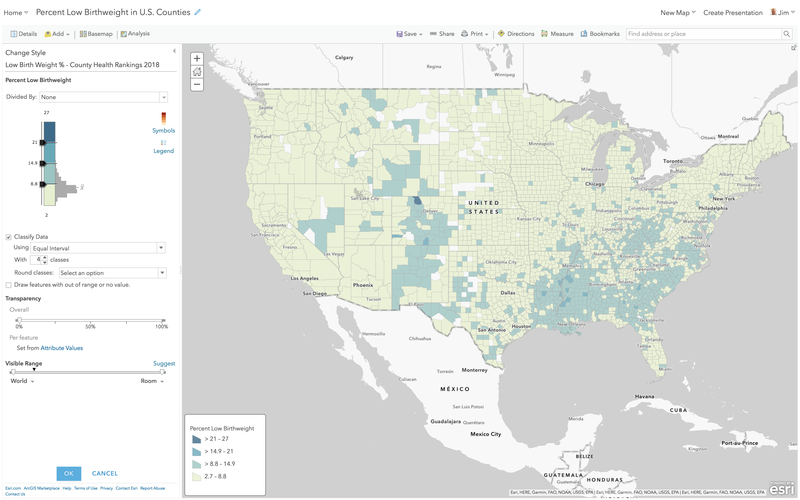 By the way, it takes fewer than 10 clicks to get to this map in ArcGIS Online. Every great map is the result of choices made on what to emphasize and what to de-emphasize or even omit. Most maps that people tell me need some help are the result of not choosing to emphasize what’s interesting in the data or to de-emphasize what is not important. Think of your map like it’s your resume: not everything is equally important. There is a sense of priority in your resume. In fact, taking an editorial stance is crucial if you want your resume to get its point across. The same is true of every thematic map. 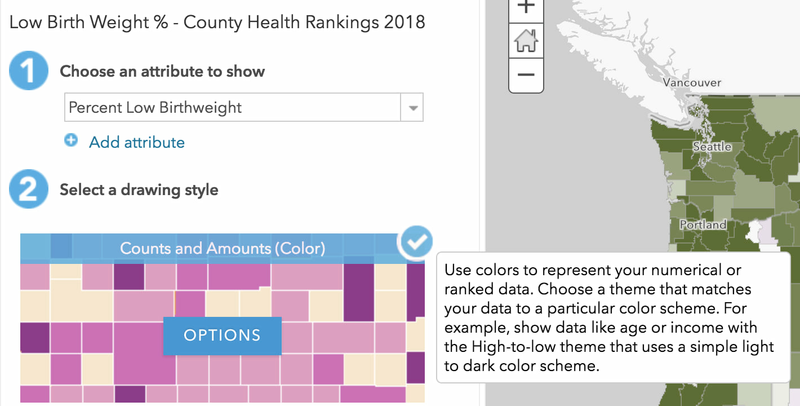 If I were building an atlas or story map of each county health ranking attribute, I probably would stick to this color ramp, so that the “language” of my maps is consistent: green is good, purple is not good. As before, while the default option for “Above and Below” is recommended, let’s go through other options for the initial map you make. Here’s the same layer, but with “Classify Data” turned on, which defaults to a Natural Breaks method. To reproduce this map, hit “Classify Data” and then change to “Above and Below” style and choose the purple-to-green color palette. The darkest color is assigned to values at or above 11.2 so the effect is that it is “harder” for a county to earn that dark purple color. The values between 8.78 and 11.2 all get the same color of light purple, and all values between 6.9 to 8.78 and all values below 6.9 get incrementally stronger shades of green. If a proposed policy would send additional funds to counties that have 11.2% low birth weights or higher, then this map does a good job highlighting those dark purple counties. But it does a poor job showing which counties are at 11.1% (just below your funding cutoff). It is interesting how the additional classes add detail in the map below. The very light grey 50% transparent boundaries help allow the color to “flow” across county lines. For fun, set the county boundaries to black 0% transparent to see how overly strong outlines destroy color patterns. Here’s the same layer, but with “Classify Data” turned on, and now using the Equal Interval method. The dark purple color is now assigned to values at or above 21 so the effect is that it is very hard for a county to earn that darkest color. The values between 14.9 and 21 all get the same light purple color, while values between 8.8 to 14.9 and all values below 8.8 get incrementally darker greens. This map’s colors are saying “something important changes at 14.9%” – remember that the national average is 8.1%. Here’s the same layer, but with “Classify Data” turned on, and now using the Quantile method. Quantile ensures that each color will have an equal number of features in it where possible. If you have 1000 features, Quantile will stuff 250 into each of the four colors in your ramp. Remember, this option is the ice cube tray of thematic mapping. The darkest purple color is now assigned to values at or above 9.08, the values between 7.8 and 9.08 all get the same light purple color, and values between 6.7 to 7.8 and all values below 6.7 get incrementally darker greens. The colors in this map say something changes at 7.8%. Quantile ensures you’ll have lots of colors on the map, but they’ll have no intrinsic meaning for this layer. Here’s the same layer, but with “Classify Data” turned on, and now using the Standard Deviation method. The darkest purple color is now assigned to values at or above 11.1% and other breaks are introduced in 1 standard deviation intervals. This is a useful method when trying to get more fine-grained in understanding how quickly your data deviates from the mean on the map. I do love the fact that values around the mean have very soft purple or green shades, hinting that they are very close to the mean. But that soft color extends all the way to 1.5 standard deviations from the mean, which is a LOT of data getting those soft colors in a map that is supposed to call out the unusual. Change to ½ standard deviations to darken up the extremes. The legend is mostly unintelligible to most people, because it no longer shows the actual percentages. Consider your audience before showing them a thematic map with this legend. There are times when classification makes sense, and times when it inhibits understanding and data exploration. The only way to know which is right for a given map, project, atlas or customer is to make a few versions and show them to the intended audience. Ask them what the map tells them, without coaching them, and compare their answers to what you hoped they would learn from each map. As you can see from all the above, trying each style is a few mouse click’s effort in ArcGIS Online. I recommend always starting with the “Above and Below” map style in ArcGIS Online for any thematic map of a percent, rate, ratio, index or similar data. It does not classify the data but lets the data “breathe” within an upper break and a lower break that define where “high” and “low” are for your subject. The software treats as exceptional those values beyond 1 standard deviation from the mean of the data. As with classification, your job is to confirm those particular values or provide your own, based on your knowledge of the subject, or your review of the literature on it, or your interviews with subject matter experts. The reward of applying such values to your map’s settings is that you then have the right to say “The green areas on the map have lower than normal rates, while the purple areas have higher than normal. In this case, normal means 8.1% which is the national average.” If your map needs to highlight how counties are faring against a different norm, such as a stated goal to get the national rate down to 7.0%, you merely recenter the map’s legend around that norm to give meaning to green and purple areas. Smart defaults are not a replacement for a human, but they certainly help you tune your map and give it a specific purpose. People who begin to understand the data, its histogram, and how color is applied or spread across that range of data begin to see how their choices reveal, or bury, what’s interesting. Thanks for reading! Annnnnnnnnd pow. The Firefly imagery basemap just dropped. This basemap has been in beta this past year, available for you to try out and provide your valuable feedback. It’s now officially released/unleashed to the masses for all sorts of adventurous Firefly mapping. Why Firefly? The Firefly imagery basemap is an interesting option for any application where imagery is required for valuable landcover/topographic context but also needs to recede into the background to best play a supporting role to the thematic layers that live atop. Like this app. And as you zoom in, and need more specific geographic context that color provides, the basemap gradually returns to full-color. When you are constructing your Firefly map and you’d like to have some reference labels, The Human Geography Dark reference layer is ideally suited. 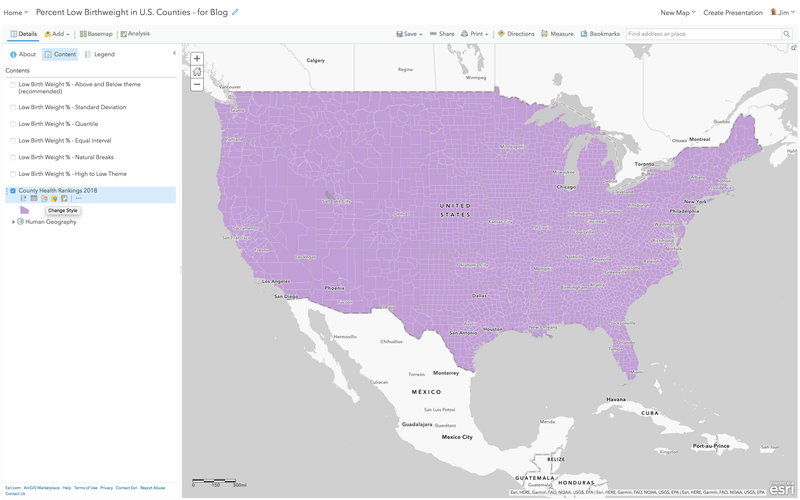 Here is an ArcGIS Online web map where it’s already been added for you. Here is that map, along with a Firefly graticule. So if you haven’t given the Firefly imagery a try, ponder giving it a spin in your next map, either in ArcGIS Online or as a basemap in ArcGIS Pro. Let your data shine and your basemap…base. Consider using the Firefly point symbols in ArcGIS Online atop this basemap. Search your feelings, and determine if you are ready to download the Firefly Style for ArcGIS Pro. 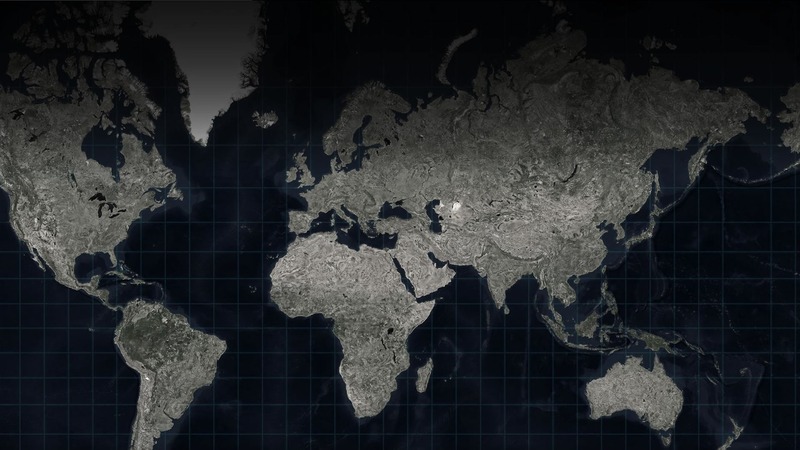 Explore the growing collection of Firefly resources in the Living Atlas. If you dare. 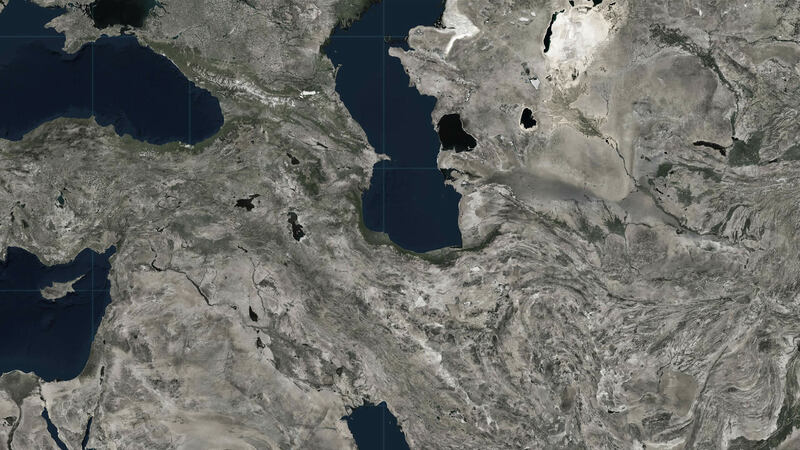 A new image service has been added to the Living Atlas of the World. 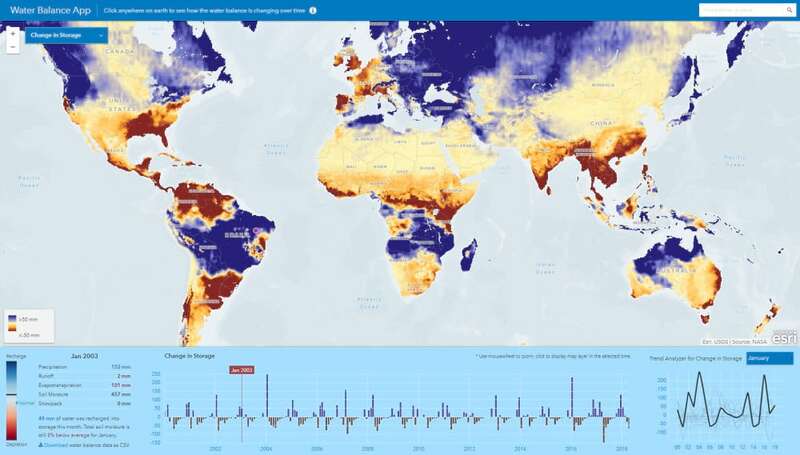 It shows monthly change in water storage, as derived from NASA’s GLDAS dataset. Change in storage is calculated by subtracting the water output (runoff and evaporation) from water input (rainfall). Where the input is higher than the output, this means water is being stored in the landscape. Where output is higher than the input, storage is being depleted. This image service is time-enabled, allowing you to move through the seasons, month by month, and visualize the ebb and flow of water over the past 18 years. Depletion is not necessarily a bad thing, of course. It is common for landscapes to store water during the rainy season, and dry out before the rains come again. The ecology of a region is adapted to this natural water cycle. A problem only arises when that cycle breaks. Perhaps the summers become too hot, or the rains come less often. Changes like these are becoming more common as global climate cycles are disrupted by anthropogenic influence. In order to help understand how our influence is affecting these regional water cycles, Esri built the Water Balance App. This application is combines all of the GLDAS layers into a single application with an intuitive interface and useful analytics. By clicking on any point, you can see the full time series and begin to investigate it. The trend analyzer (bottom right) lets you extract the values for any specific month, so you can see if December rainfall is trending up or down, or if July evapotranspiration is increasing. This panel also lets you to see the seasonal variation during a normal year (by graphing the average for each month) or aggregate the time series into annual time steps to see the long term trend more clearly. The Water Balance Panel (bottom left) shows how the different GLDAS parameters interact to define the hydrology of a landscape. It makes clear how the change in storage was calculated, and how it compares to what is normal for this month. It also shows how much soil moisture and snowpack have changed. This should be close to the total change in storage, but because there are also reservoirs, aquifers, and industrial withdrawals, these numbers don’t always match exactly. What can I do with this layer? 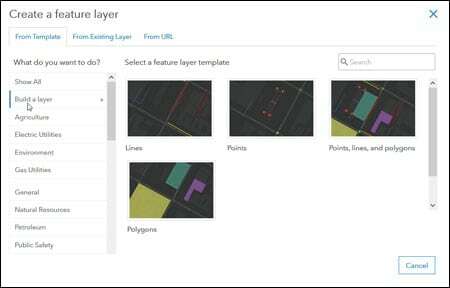 The Change in Storage layer is an image service, which means you can access it from any app in the ArcGIS Platform, not just the Water Balance App. 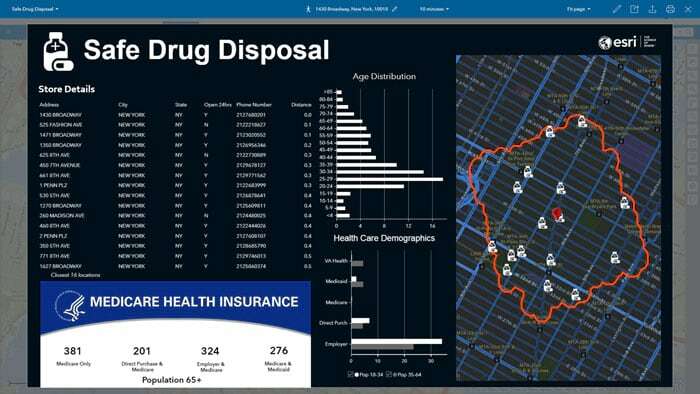 You can add it to maps you are building in ArcGIS Online, ArcMap, ArcGIS Pro, and even custom web apps of your own. It can also be used as an input to geoprocessing tools and Python scripts. The “Zonal Statistics as Table” tool is particularly useful for calculating the storage change in a watershed or other region of interest. The WorldDEM4Ortho: Now available in ArcGIS Living Atlas of the World Part 1 and WorldDEM4Ortho: Now available in ArcGIS Living Atlas of the World Part 2 recordings are now available! In this webinar you will learn more about WorldDEM4Ortho-how it was created and why it’s so accurate. You will see how to access and use the Living Atlas global elevation services that contain WorldDEM4Ortho.